Home > EnerCare/EHS Unit has reached an agreement! On Friday March 9th, some of the Company and Union bargaining committee members met outside of bargaining and came to an understanding on one of the major roadblocks we were facing at the table. The Company then requested both Bargaining Committees officially meet on March 12th, feeling we would now be able to reach an agreement. The Union agreed. We are happy to announce that after a long day of bargaining yesterday, the parties have reached an agreement. The committees will be working today to compile a year’s worth of documents in order to capture everything discussed. 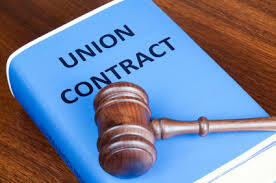 Once completed, we will turn our attention to setting updates for ratification meetings in all areas to allow the Bargaining Committee the opportunity to present the agreement to the membership, after which voting will take place. On behalf of your Bargaining Committee, thank you for your patience.